Reger Rizzo & Darnall is pleased to announce that Robert B. Young, Esq., has joined the Firm as Of Counsel in the Firm’s newly opened Dover, Delaware Office. Young joined Reger Rizzo & Darnall in June of 2017, after retiring as Judge of the Superior Court of Delaware earlier this year. As Of Counsel to Reger Rizzo & Darnall, Young is available to provide mediation, arbitration, court-appointed master and other alternative dispute resolution services. During his 12 years on the bench, Judge Young presided over numerous significant civil and criminal cases. He also served as the presiding officer of the Kent County Mental Health Court. Young served through his term as Judge on the Superior Court until April of 2017. Mr. Young is the past president of the Delaware State Bar Association and the Delaware Chapter of the American Board of Trial Advocates. He is active in numerous state and federal legal organizations, including the American Bar and Kent County Bar Associations, as well as several task forces, such as the Governor’s Task Force to Draft Handicapped Accessibility Legislation and the Delaware Superior Court Task Force on the More Effective Use of Juries. 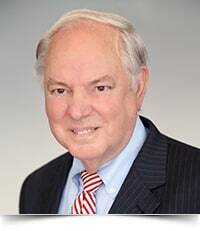 He is the past Counselor of the Terry-Carey American Inn of Court, and was the recipient of its Professionalism Award. He is also the recipient of several other legal and community-based awards, including the Shofar Judicial Award for Outstanding Service, the ABOTA Distinguished Service Recognition Award, the Combined Campaign for Justice’s Appreciation Recognition, and the American Inns of Court Award for Professionalism, among others. Young is a 1969 graduate of The Ohio State College of Law, and a 1965 graduate of Denison University. He is an active speaker and presenter, and former Adjunct Professor of Insurance Law at Wesley College.